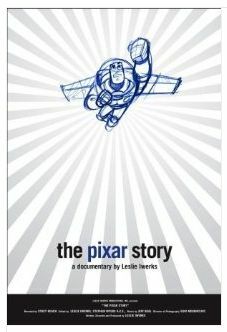 Last night, I watched the documentary, The Pixar Story, which is exactly what it sounds like: the story of Pixar becoming the powerhouse computer animation film company it is today. You can view the documentary by clicking here. It’s a fascinating story hearing how they built a team of people sharing a common and seemingly impossible dream when they started: making a full-length, feature-film made entirely with computer animation. There’s a lot of awesome anecdotes in the film and the documentary’s creators did an excellent job of capturing the emotions of creating these movies many of us know so well: Toy Story, the Incredibles, Monsters Inc and Finding Nemo. After their first major success, Pixar opened a new facility that embodied the culture they had built and worked to foster it to greater levels. This new facility is expansive and open and allows for employees to be creative and collaborative in new ways. This is why cubicles are the enemy of any great company. Those random connections that happen in an open environment vastly outweigh the costs of interrupting others. Everyone sees the world a bit differently, which is hugely valuable. At about 68 minutes in the film you see an artist showing his peers a rough draft of Nemo the fish talking to his Father. The artist had focused all his efforts on the father and Nemo looked basically dead. His peers helped him realize the importance of showing life in both characters. Throughout the film, collaboration is emphasized as a key item. Without a collaborative environment where feedback is welcomed, you will never be able to move quickly enough. The Pixar team worked insane hours and under unbelievable pressure as they more than once put their backs against the wall in making a film and trying to rewrite it with tight deadlines. In one scene, the director of Monster’s Inc announces to the Pixar company the box office receipts for opening weekend, which were huge. The whole company was celebrating with champagne and cheers. Many have talked about the distorted reality of celebrating funding for a startup. It’s important to remember that especially after a major struggle for your team to celebrate key successes and recognize those making extreme efforts. After 3 straight hits on their hands at Pixar, the reigns of directing their next film was handed over to someone who had never even been an assistant director. As it turned out, this led to Monsters, inc, a huge success. Recognizing talent within your company and giving them the opportunity to grow beyond their current role can yield great results as demonstrated here. The director of Monsters, inc, was employee #2 at Pixar. He was ready. At Pixar, it was a constant back and forth: the tech team would give animators new possibilities to try to animate and then the animators would come back pushing the tech team to allow them to do even more. In A Bug’s Life, the tech team said they could only render 50 ants on screen at a time. The animators pushed back and the tech team delivered; they made it possible to render over 400 ants on screen. The greatest inventions of man have always come from those willing to try to make the impossible possible. It is a worthy exercise to ask your team “what if” and make things happen. After a string of hits, Pixar was on top of the world. They could have tried to stick to their formula and made more great movies, but they didn’t. Continuing to push themselves, they brought on Brad Bird, who had just mad the flop, Iron Giant. He brought fresh ideas to the company and thrived in the Pixar culture that assimilated him. When you get comfortable and rest on your laurels, that provides a window of opportunity for your competition. If you continue to push the limits and innovate, you will never be caught. It was said best right in the documentary, “We’re a team of people that love film…We just make things we all just want to see.” As it turns out, when they were unhappy with films and pushed themselves to rewrite and improve what they were doing, they created great movies that they were proud of and people loved. Every startup knows the best customer in the early days is full of ideas and constructive criticism. Make your people a great customer of their work. Towards the end of the film, they mention the decline of 2D animation and the fact that other studies gave up on the medium after a string of Pixar successes. As it turns out, they seemed to think that audiences no longer had an interest in the 2D animation form and that the success of Pixar was attributed to their technology. They couldn’t be more wrong. Know what your company is all about at its core and focus on delivering your best possible product. Don’t worry about competition, because they are likely to look at your success and be unable to understand what the real reasons for your success are. Everyone at Pixar has a great level of accountability to themselves and their peers. Everyone takes great pride in their work and believes in the mission. Pixar’s employees are operating at the highest level of Maslow’s Hierarchy of Needs and the quality of their work demonstrates it. Give your employees the opportunity to surprise you. Give them ownership and the opportunity to see their work to the end. This empowerment will give them new vigor in their work. Pixar was a fledgling arm of LucasFilm in the 1970s when their journey began. It wasn’t until two decades later that Toy Story finally came out. They were constantly on the edge of going out of business and had many sleepless months producing their hits. No success is overnight. It’s a collection of small victories that eventually add up and one day reach the tipping point of success.